Janina was brought down by a left-turning lorry at about 11.30am on Friday 17 October 2014. 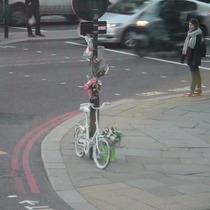 She died 3 days later in hospital, the second cyclist in 6 months to be killed at this junction by a left-turning lorry. 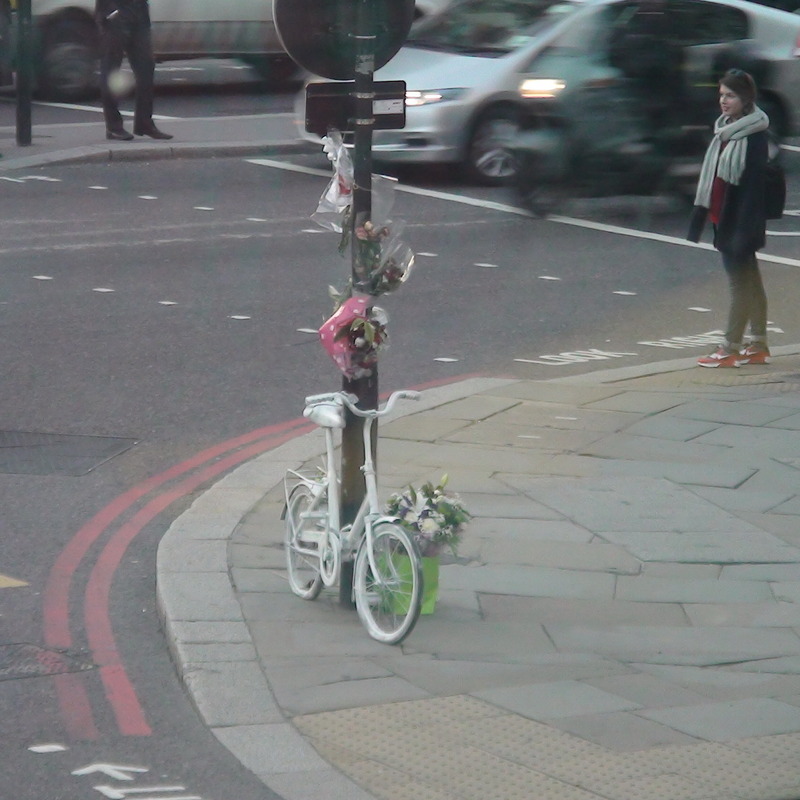 On 4 April 2014 Victor Manuel Ben Rodriguez was killed here. 2015 "John Green, 53 of Wickford, Essex was today accused of causing death by careless driving." Number 12, the eastern half of the building on this concave corner is, 2014, occupied by Leon, but it used to be the pub The King Lud. Built in 1870, architect Lewis H. Isaacs, the Lost Pubs Project has a picture of it in 1969. These two images of King Lud seem to be original to the building so we imagine it was built and opened as a pub with that name, prompted by the proximity of the supposed site of the old Lud Gate. The western half of this building (Santander) was built in 1872. The Daily Courant plaque is to the lower right of the photograph.